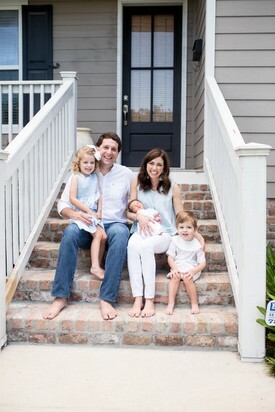 Dr. Delahoussaye was born and raised in the Lakeview area, where he attended St. Dominic School and Jesuit High School. He went on to Louisiana State University and graduated with honors in 2004 with a Bachelor of Science. He was awarded his Doctorate of Dental Surgery (DDS) by the Louisiana State University School of Dentistry in 2008. Since graduation, he has completed many hours of continuing education and advanced training in Implant Dentistry. Dr. Delahoussaye married his high school sweetheart, Keanne, and they have four beautiful children: Clare (9), Devereaux (7), Marguerite (5), and Levy (4). When he's not running around after the kids, Dr. Delahoussaye is an avid fisherman and hunter and loves to do anything outdoors. As a family, they are very involved in St. Dominic Catholic Church, participating in numerous events and fundraisers throughout the year. Dr. Sarah Haydel was born and raised in Monroe, Louisiana. She moved to Baton Rouge to attend LSU in 2003 where she majored in biology with a minor in psychology. Dr. Haydel was a Chi Omega at LSU, serving as Panhellenic delegate and chapter president. She graduated from LSU in 2007 with honors. Dr. Haydel then attended LSU School of Dentistry in New Orleans, where she served as class delegate to the American Student Dental Association. She graduated in 2011 and has been practicing in the New Orleans area ever since. Since graduation, she has completed many hours of continuing education and advanced training in therapeutic Botox treatment for TMD. Dr. Haydel is married to Chuck Haydel, a pediatrician at Hales Pediatrics. 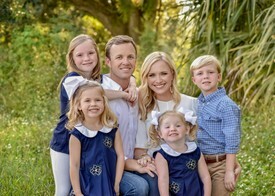 They have two young children, Madison (4) and Charles (Tripp) (2) and August (wee little baby)! They live in Lakeview, where they attend St. Dominic Catholic Church. They love living in New Orleans, especially during festival season!